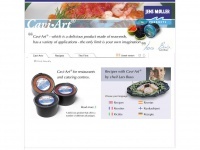 Cavi·Art® is a vegetarian caviar imitation. The web server with the IP-address 80.63.55.95 used by Caviart.us is owned by Tele Danmark and is located in Odense, Denmark. The website Caviart.us has a own web server. The web server only runs this website.